I Will Go Out – Ahmedabad. A great time to loiter! 2017-01-21 17:00:00 2017-01-21 19:00:00 Asia/Kolkata I Will Go Out - Ahmedabad. A great time to loiter! 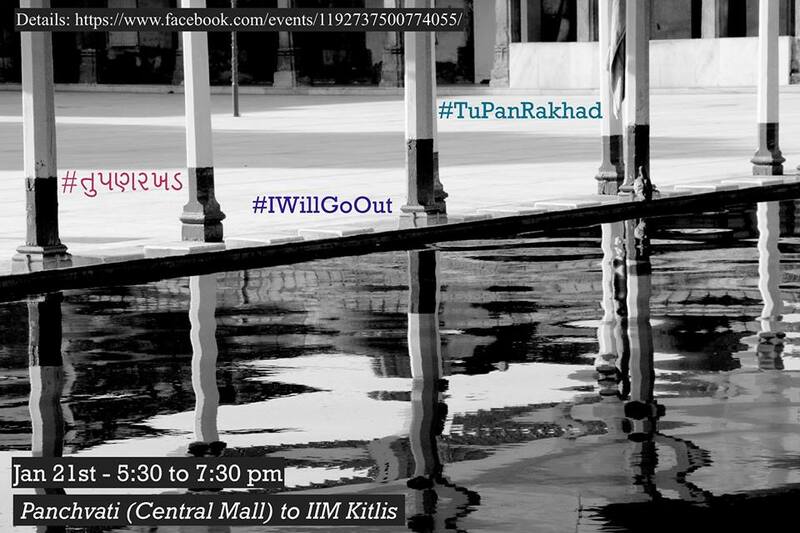 I Will Go Out is a nationwide march on 21st Jan in solidarity with the survivors of Mass Sexual Harassment that took place in Bangalore this New Year’s eve. We’re a collective of individuals and organisations across various cities in India. This is a call for action to women (and men) across India to proudly take to the streets in light of yet another instance of sexual assault and against the appalling statements given in response by politicians like Abu Azmi.